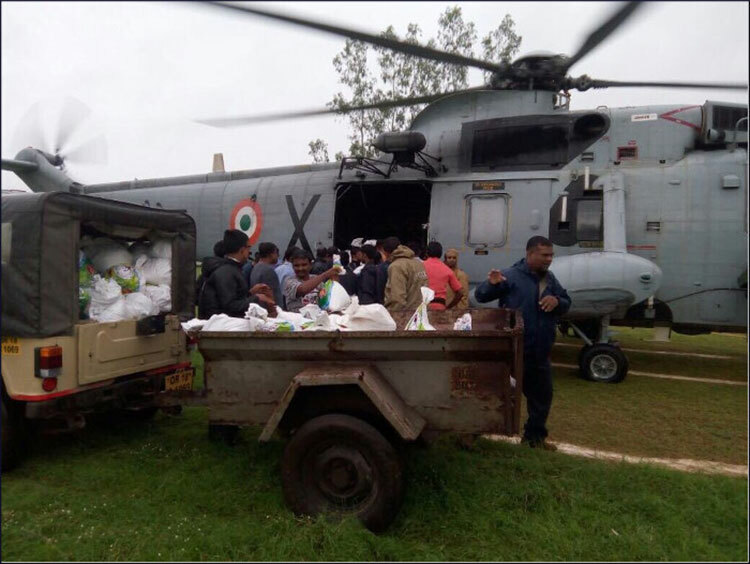 A Seaking helicopter was deployed early morning on 17 July 2017 from naval air station INS Dega for flood relief assistance in the affected areas in Odisha. 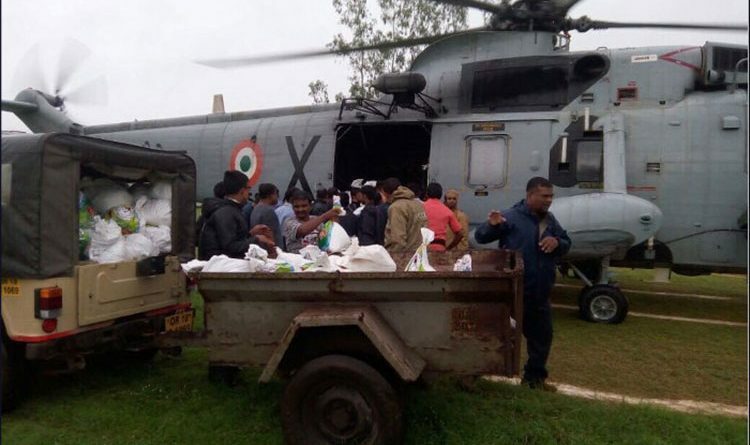 District Collector Rayagada had requested assistance of the Indian Navy for air drop of around four tonnes of relief material in liaison with local administration representatives. 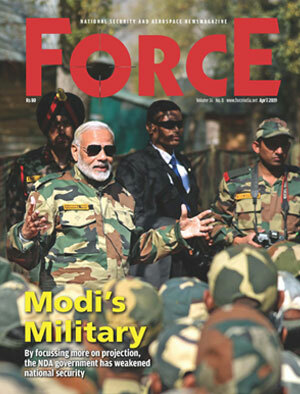 Relief material was loaded in the aircraft and is being systematically distributed in the areas which are cut-off due to floods.